After 5 years this great Centaur is back on the market!!! A full set of new photos will be available soon. She is one of the best equipped and most improved Westerly Centaurs around. 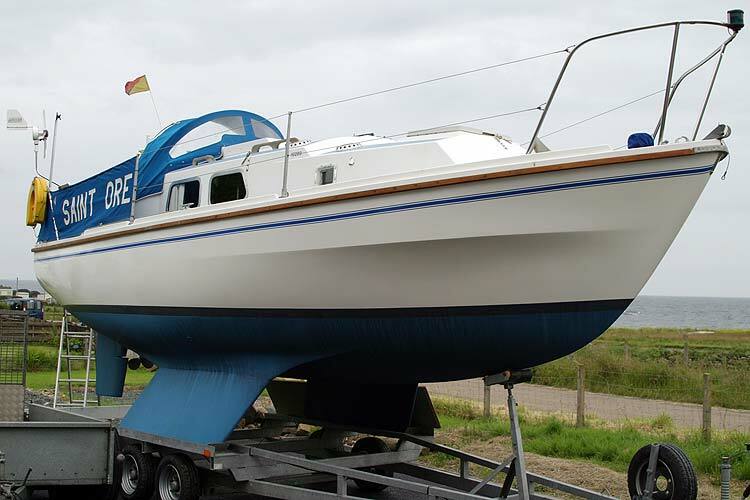 Considerable amounts of time and money have been spent over the years on this yacht improving her and keeping her in top condition. She has cruised extensively on the West Coast of Scotland in recent years and has many crossings to northern Europe under her with previous owners. She would be equally suitable for a family, a couple or a single handed sailor. Now back on the market due to the purchase of a larger yacht. Radar, Chart Plotter, Nasa Clipper Log/ wind speed and direction, Magnetic and fluxgate compasses, Navtex, clock and barometer. Autohelm 1000 tiller-pilot, Swiftec VHF(not DSC) with cockpit speaker. New headsail furling gear and full new standing rigging fitted in 2012.